Clenching and relaxing her hand, Náriel looked up to Bilbo. “How&apos;s the wrist?” He asked casually while swinging his arms by his sides. “Good,” he looked at his arms and then his legs and gave a sure nod. “Good.” Náriel smiled. “Nice thinking.” She whispered while leaning forward. The two of them looked up though when there was a suggestion of finding a cave. “They have to have got here somehow,” Náriel looked up at him and then to the path which everyone was walking down. “Come,” she patted him on the shoulder and urged him forwards. It didn&apos;t take long to find the cave which the Trolls had inhabited. The sure sign was the darkness followed by the overbearing smell. “What is that stench?” Bofur asked while giving a small cough. “It&apos;s a Troll Hoard.” Gandalf explained. “Be careful what you touch.” He said while more coughs happened from behind him. The further they explored, the more details their torches picked up. In the fire light of the torches, the shimmer of jewels, gold and other objects could be seen glimmering. Even underneath several layers of dust and cobwebs, they still shimmered in the light. “It does seem like a shame to leave it all lying around.” Bofur said dejectedly while his boots kicked at some coins at his feet. 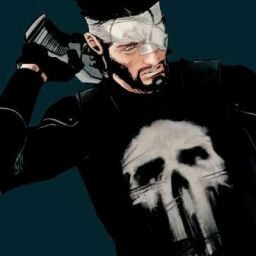 “I mean...anyone could stumble along and take it.” He looked up at his friends. Glóin stood nearby and seemed to be debating over a similar thing. “Agreed, Nori, get a shovel.” He looked over at the Dwarf he had named. 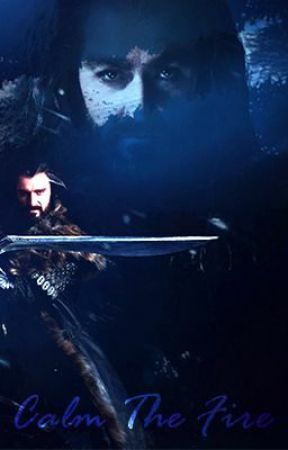 Elsewhere in the cave, Thorin had stopped by a small collection of swords. Putting his torch to one side, he slowly reached out. His hand pulled a sword out from the group, the cobwebs and dust which was surrounding the weapons was suddenly dispersed and pulled apart. “These were not made by any Troll,” he said while looking up at Gandalf as he reached his side. He looked down curiously. Lifting one of the swords up to him, Thorin watched as he blew away the dust and slowly unsheathed it. “Nor by Men.” Squinting in the dim light, he looked at it closely. “These were forged in Gondolin, by the High Elves of the First Age.” Gandalf explained, Thorin frowned and went to return the weapon to the pile. “You could not ask for a better blade.” This seemed to still Thorin&apos;s movements, he barely unsheathed the weapon in his hands to look it over. “There are plenty to go round,” he said while gesturing to the pile. Náriel smiled and patted her side. Her sword sat in its sheath. “Already got one. Though yes, it&apos;s not a Gondonlin sword, it&apos;s still a fine sword.” She said, which was true, her sword may not have come from High Elves, but it was still Elven none the less. Looking over his shoulder she frowned, even from here she could see Dwalin watching as the others buried the treasure they had found. Looking to the side, Náriel reached out. “This though, I have left behind in Rhosgobel.” She said while pulling the string of the bow she had found beside the sword stack. Looking down she picked up a quiver of arrows. Putting the bow over her shoulder she smiled at him before pottering off. “Let&apos;s get out of here,” Thorin said addressing everyone. “Come on let&apos;s go,” he said while specifically looking to Bofur, Glóin and Nori. Just like that everyone started to leave, fresh air never really tasted so good after being stuck in the dark stuffy cave for a matter of moments.